Hertfordshire is one the most popular getaway destinations for urban city dwellers. 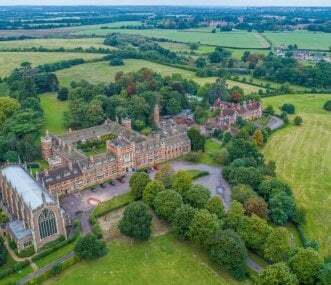 The rolling hills of The Chilterns in the north west are considered an Area of Outstanding Beauty, and the Roman historical remains in St Albans are extraordinary: just some of the attractions this county has to offer. Watford boasts a range of cultural and educational opportunities with a number of museums and galleries, as well as being home to some fantastic days out with the kids at activity centres. 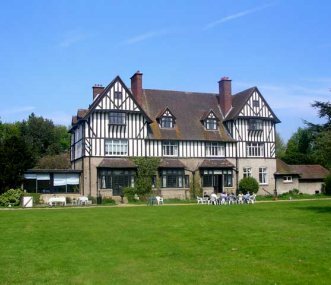 We have a range of properties to choose from in Hertfordshire, including large manor houses and self-catering holiday cottages suitable for groups of 10 or more. Use the map below to explore the region and discover your perfect group holiday home. 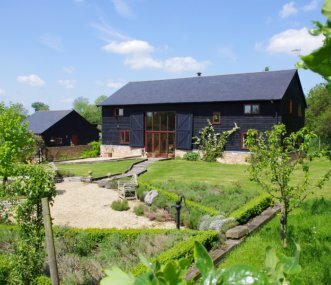 Comfortable and luxurious converted timber barn for self-catering accommodation set in the heart of the tranquil and beautiful Hertfordshire countryside between London and Cambridge. A National Trust 16-bed bunkhouse tucked away in the ancient woodlands of Ashridge Estate. Perfect for groups looking to get way from it all and enjoy nature at its best. The Dower House is a welcoming and spacious house set in large grounds situated in a quiet village in a rural country setting near the historic market town of Hitchin in Hertfordshire. Welcome to Academy St Albans in the beautiful London countryside. We offer accommodation, meals and use of great facilities all year round for educational, activity, and special interest events.